China's prevalently known form of musical theater and drama. 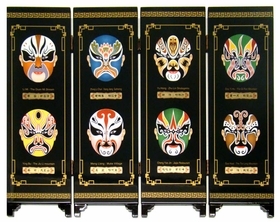 The Chinese opera has gained fascination by various people worldwide. It is a grand performance casted by several performers in vibrantly colored costumes moving along a swift and dramatic music. Most noticeably though, are performers or actors wearing Chinese opera masks which are frequently changed throughout the entire performance. 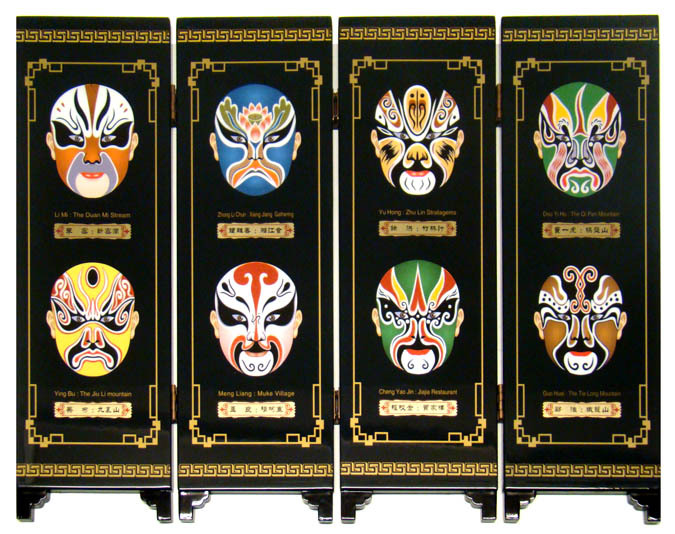 Please note: Currently, "Chinese Folding Mini Screen - Chinese Opera Masks #8" is available for shipment only in the United States. For customers outside of the US, please contact us for more information.